"Hunky Dory is a kaleidoscopic array of pop styles, tied together only by Bowie's sense of vision: a sweeping, cinematic mélange of high and low art, ambiguous sexuality, kitsch, and class." 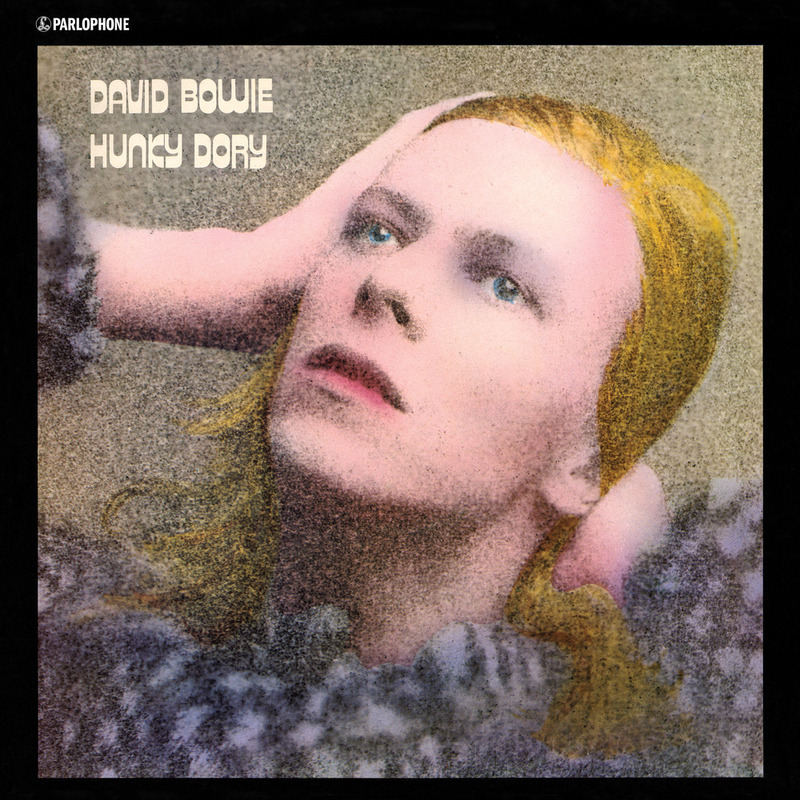 Hunky Dory is the fourth studio album by the English musician David Bowie, released on 17 December 1971 by RCA Records. It was his first release through RCA, which would be his label for the next decade. With new bass player Trevor Bolder replacing Tony Visconti, Hunky Dory was the first production featuring all the members of the band that would become known the following year as Ziggy Stardust's Spiders From Mars. Also debuting with Bowie, in Visconti's place as producer, was another key contributor to the Ziggy phase, Ken Scott. The album's sleeve would bear the credit "Produced by Ken Scott (assisted by the actor)". The "actor" was Bowie himself. This 2015 remaster was completed as part of the Five Years 1969 - 1973 box-set.